Cassandra has been dying her hair a variety of colours for the past few months and I’ve been so eager to get some photos of it! 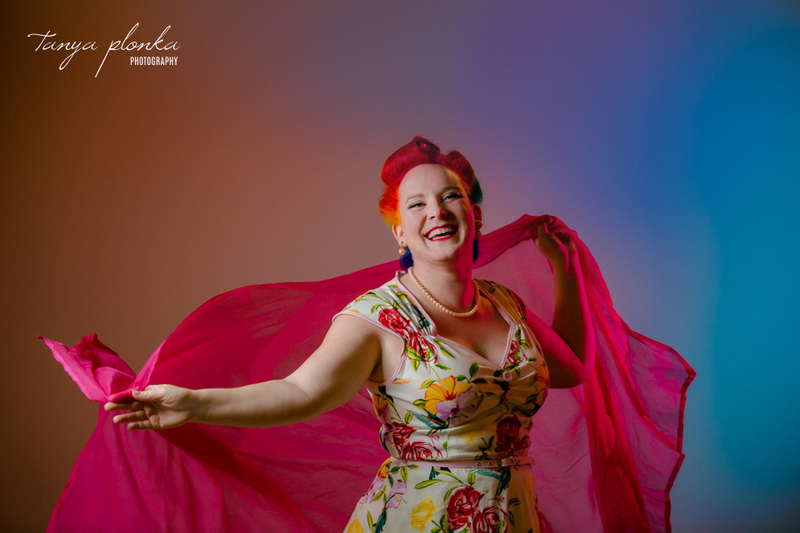 For Pride Month she got a full on rainbow added to her hair and we went out in search of the most colourful backgrounds we could find in Lethbridge for her rainbow themed pinup portraits. In addition to the usual bright murals that are downtown year round, Lethbridge Pridefest added even more variety for us as many businesses had rainbow themed front window displays! Once it started getting a little too dark outside, we made our own bright colours indoors with gelled flashes. Cassandra came equipped with her big rainbow umbrella from Drunken Sailor and I brought my giant bag of bellydance veils for us to use as props. This amazing hair colour and styling were both provided by Catwalk Salon. 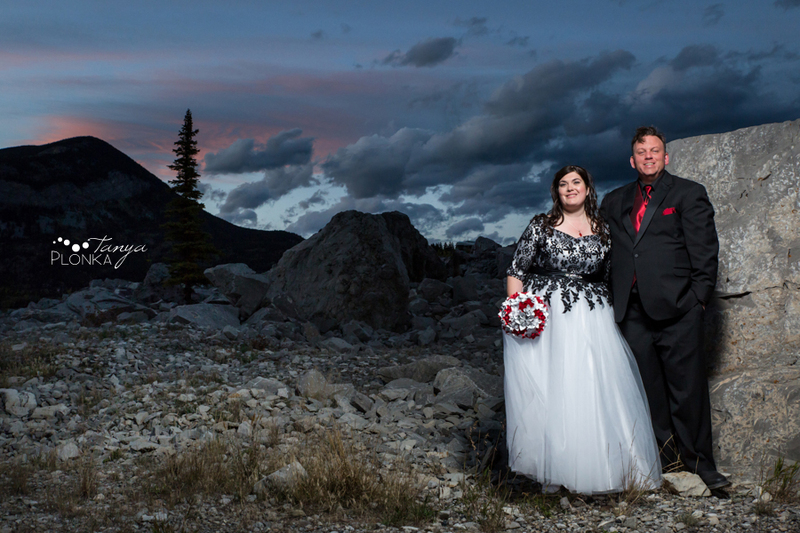 Nicole and Derek planned for their beautiful day to take place in Waterton, a favourite travel destination for them, with a Bayshore Inn outdoor summer wedding. Their theme of “Kiss me under the light of a thousand stars” was gorgeously put together with star decorations, motifs of constellations, and a blue colour scheme to reflect the dusk sky. We spent the day with them and their fun wedding party visiting Red Rock Canyon and Cameron Lake. 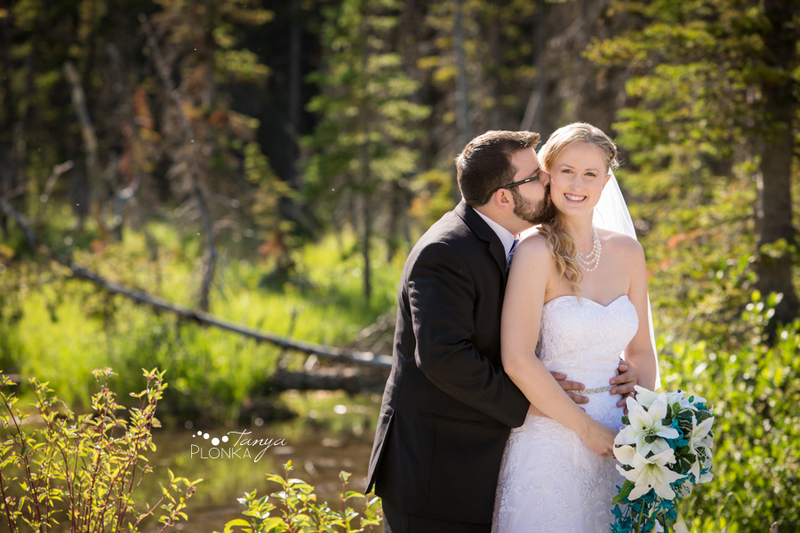 The free Canadian parks this year meant these beautiful locations were packed with tourists, but we used photography magic the best we could to make it look like Nicole and Derek were sharing private, intimate moments without a hundred eyes watching them!